Welcome Astronomy and Marvel fans to the Finding Maveth Challenge! Where is Maveth? That is the question we want you to answer with the best possible explanation given the facts. A mysterious planet named Maveth was introduced on the Marvel TV series Agents of SHIELD. This planet's location was never called out exactly in the show. We want to place the planet in its most likely Galaxy and so have gone to the interwebs for help. All eligible submissions will be added below in the body of this post (With proper credit given). The Toylab bloggers will select the answer that best fits the facts as presented on the Agents of SHIELD show. If you are a science teacher or in an astronomy club I think this is a great question to ask your students. Eligible Submissions - Must include a Galaxy name that is either real and known or is otherwise mentioned in Marvel comics. Please comment them on the bottom of this post and include what name you would like us to use. The Winner's post will be highlighted on this post as the winner along with proper credit. The Winner's submission will be used on the Toylab Marvel Cosmic Map as the location for Maveth. 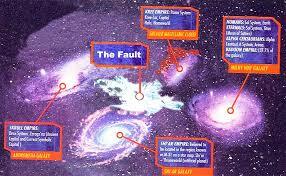 The map currently has information that includes real Astronomer's correcting edits to Marvel's own lore. The Winner will be added to the Toylab Hall of Honor where their name will live on in great honor for perpetuity.